Love & Loyally: Wednesdays & A Giveaway! My boss always says Wednesdays are wonderful because they're a reminder that the work week is halfway over. I tend to agree, but this week is different. I feel like I'm on my third Monday. Which is pretty much how I imagine hell - an eternity of Mondays. Ok, maybe I'm being dramatic, but you get the point. But, there's good news! Teresa, one of my awesome sponsors, is giving one lucky Love & Loyally reader the chance to win a $10 Target gift card and The Happiness Project One Sentence Journal. How sweet is she? 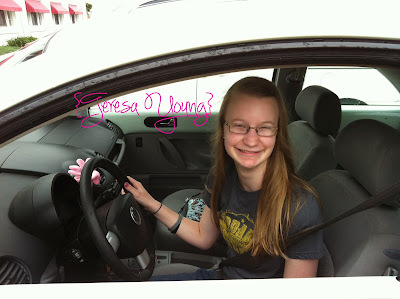 Teresa blogs over at The Adventures of Teresa & Luna, She's chronicling life's adventures one post at a time; you should definitely check it out. I was off on Monday so you would think that would help me cure the Mondays...nope. I feel like yesterday was rough and today isn't starting much better. COME ON FRIDAY!